When you think about vintage design, pearls are a must. I love the symmetrical feel of Swarovski pearls. I know that in the 1920’s people tended to use natural pearls but today lots of clients prefer their hair embellishments to have equal sized and as near as we can colour match that cultured pearls can offer. 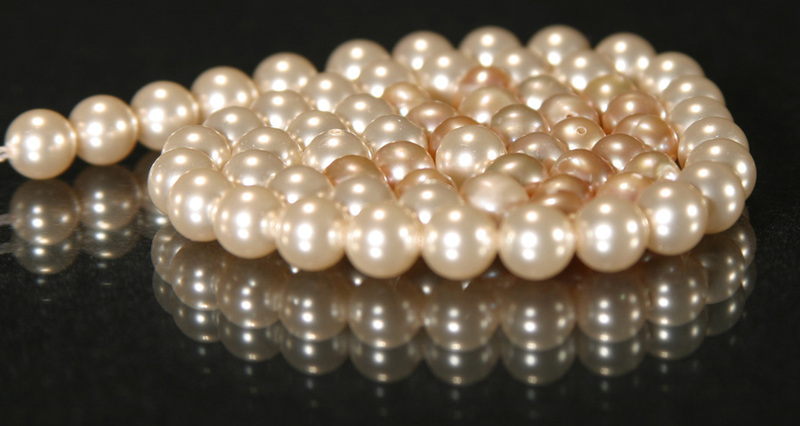 Another must are fresh water pearls however, we cannot guarantee equally sized pearls and allowances must be made for this, but that is part of their natural beauty. They are the more expensive option too so we usually call our supplier for up to the minute prices if they are chosen. I have been asked for broaches using pearls so that’s next on my design list after my latest project is completed over the Christmas period.